Stem Cell injections hold tremendous promises to relieve painful joints. So, why do most Tulsa Oklahoma doctors hammer away at your hips to retrieve bone marrow? Why haven’t they told you about cheaper but effective stem cell options? I do not use hammers and I will make your stem cell treatment comfortable enough for us to have a pleasant conversation throughout. Arthritis is a term which describes painful degeneration of joints. It includes a variety of conditions, the most common of which are osteoarthritis and rheumatoid arthritis. Osteoarthritis is the most well-known; affecting around 12% of adults in the United States . Joints are found where two adjoining bones meet and move against each other. The ends of the bones are covered with a smooth coating of cartilage which allows the bones to glide over each other and prevents painful grating or rubbing. As an extra layer of protection many joints have a ‘sealed bag’ or capsule which surrounds the joint and contains fluid, allowing even smoother movement. As joints age, the smooth cartilage surface can become roughened, and eventually worn away. This makes movement stiff and painful – which we recognize as ‘arthritis’. Why this happens in one person or one joint more than another is incompletely understood . We do know that as the population ages, arthritis is becoming an ever bigger problem, causing pain and immobility for a large number of people and resulting in huge health service costs in the Western world . Standard treatments for arthritis come in several stages, and vary depending on the patient and the severity of the condition. First-line treatments include simple anti-inflammatory pain killers, rest, joint support and activity modification. Apart from these simple options, very few ‘medical’ treatments have been reliably shown to work. Injecting the joint itself with either anti-inflammatories or steroids may offer some relief, but it is only temporary and certainly does nothing to alter the progress of the disease. Beyond this, the next option is surgery and huge numbers of joint replacements are carried out each year to relieve the pain of arthritis. 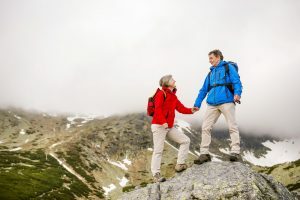 However, joint replacement surgery is a huge undertaking – particularly in an older patient where the risks of anesthesia and surgery are increased. Artificial joints may also offer pain relief to many, but mobility may not be significantly improved, and of course they wear out eventually . Stem cells are found inside all of us. They are the cells which have the ability to change or ‘develop’ into a variety of different tissues. They are found in different forms throughout our bodies and throughout our life. In recent years researchers have been looking at the possibility of using these cells to repair damaged tissue. By moving stem cells to an area of damage, and in some cases by using ‘signals’ (mostly given as different chemicals) to tell the stem cells which tissue to develop into, the hope is that damaged or worn out tissue can be replaced or repaired by the body itself . Repairing damaged joints is one of the areas where this approach has been most extensively studied. The particular type of stem cells used are called mesenchymal stem cells, they are found in many places in the body, and given the right conditions can grow into new cartilage. In the early 2000’s reports were published showing that mesenchymal stem cells could be used to grow new cartilage in the damaged joint of animals, and that the treatment might also be feasible in humans [6,7]. This exciting development led to a huge amount of research being done. In both animals, and increasingly in human patients, stem cells are being shown to help in the repair of damaged cartilage. This can be seen both on scans of the joint, and most importantly in improved pain and function reported by the patient . After 13 years of research and development we know that stem cell therapy is a safe treatment. A report in 2016 on more than 2600 patients who underwent stem cell therapy for a range of bone and joint problems found very low levels of problems (or adverse events) over the two years they were monitored . There seem to be two ways in which stem cell therapy work. This first is that we know that mesenchymal stem cells can produce new cartilage . So, when put into an affected joint they may simply multiply and “specialize” to create new cartilage to replace the damaged area. More recently it has been found that stem cells may give out chemical messages which tell local cells and tissues that there is a problem, and guide them towards helping in the repair. This ‘paracrine’ action may work by reducing the swelling and inflammation found in arthritic joints, as well as recruiting local tissue to help with the repair . It seems likely that injected mesenchymal stem cells act in a combination of these ways to cause the improvements we see. A large number of stem cells need to be injected in order for the treatment to work. These can either come from the patient themselves or from a ‘stem cell’ bank where groups of cells are kept in a laboratory to provide a ready supply. Most treatments currently use stem cells from the patient themselves. Many people may find this easier to accept, and it certainly ensures there is no risk of introducing a new disease. However, there may also be disadvantages. As we age our stem cells become more reluctant to divide and form new tissues, so some of the effectiveness may be lost. In addition, the stem cells need to be harvested from somewhere, which will involve an additional procedure. The most common sources for stem cells for injection are the bone marrow or fatty (adipose) tissue . Of these, bone marrow stem cells are the most commonly used. Harvesting bone marrow is an uncomfortable procedure, but it can be done (in adults) under local anesthetic by passing a needle into (usually) the pelvis and sucking some of the bone marrow out. Once the tissue (either bone marrow or fat) is harvested, the stem cells need to be extracted. Again, there are two main ways of doing this. On the day of treatment, the tissue can be mechanically separated into different parts. The part with the stem cells is then injected into the painful joint. This method has the advantage that it is all done on the same day, and does not involve growing (or culturing) groups of cells. However, the fluid injected into the joint will contain a large number of different cells in addition to the stem cells that are wanted. The second technique involves taking the patient’s harvested tissue and growing a collection of stem cells from it in the laboratory. This produces a ‘pure’ solution of stem cells to inject. However, it will take some time, so the stem cells will not be ready for injection in the same day. In addition, there are often restrictions on growing stem cells in the laboratory which may make this approach impossible. Once the fluid to inject is ready, it is injected directly into the painful arthritic joint, using some local anesthetic to numb the area. There is no need for a general anesthetic, or prolonged hospital stay. So far relatively few studies have been published on the outcomes of stem cell treatment for arthritis. From the data we do have, it seems that most patients enjoy reduced joint pain and improved function following stem cell therapy. Studies show that on average pain is reduced by 2 points on a score of 0-10, and function (as measured by a targeted questionnaire given to the patient) significantly improves [8, 12]. Most patients have been followed-up for around 2 years, and these improvements seem to persist. We don’t yet know whether the treatment can be repeated if the effects wear off, nor how many patients go on to receive a joint replacement in the future, or how long after stem cell treatment. There is no doubt that larger, longer-term studies are needed to make us surer of what to expect, but the information we do have is very promising. Large safety studies have been reported on this treatment. 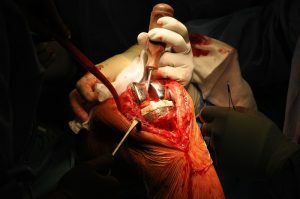 They have shown that in over 2600 patients receiving stem cells for a variety of joint problems, very few had problems. Around 4% reported some pain in the joint following injection, but in most this was temporary. A few patients reported redness or swelling at the site of the injection. In some patients there was ongoing pain due to progression of the underlying disease. There was no evidence of cancer being caused by the treatment . What are my options if it doesn’t work? Following stem cell therapy, all the standard options for arthritis remain. Pain killers may still be used, as can other joint injections in the future. Stem cell therapy does not change the possibility of having a joint replacement if it is needed. So, all options remain open, but will hopefully not be required. There are many providers offering stem cell therapy for a huge range of conditions, with many making claims to be the best or most advanced treatment available. This can be bewildering, and make choosing between them extremely difficult. It is important to look at the evidence – or proof – that a treatment works in the best way possible for your particular condition before making any decisions about which treatment to choose. Stem cell therapy for hip arthritis has been tested mainly using stem cells from the patient’s own body (autologous transplant). The majority of patients then had a joint injection on the same day following a simple lab-based procedure to separate out the stem cells. These procedures have been shown to reduced pain and increase mobility in the vast majority of patients, with very few adverse side-effects. Other treatments are available. Stem cells may be harvested from a patient’s blood (rather than bone marrow), before being extracted and purified in the laboratory over a few days. The cells are then re-introduced via an injection into the bloodstream. While this process is excellent (and well proven) for many conditions, it has not been proven to be effective for arthritis of the hip. More complicated methods for isolating stem cells – including multiple bone marrow aspirations and additional laboratory work to try and increase the number of stem cells injected – are also being offered but not readily available in the US. While these methods may offer even better outcomes for some conditions, at present they have not been shown to work on large numbers of patients over a long time period. We cannot definitely say they are better than the more standard treatments offered for arthritis of the hip. Estimates of the prevalence of arthritis and other rheumatic conditions in the United States. Part II. Lawrence RC, Felson DT, Helmick CG, et al. ; National Arthritis Data Workgroup. Arthritis Rheum. 2008 Jan;58(1):26-35. Osteoarthritis pathogenesis – a complex process that involves the entire joint. Man GS, Mologhianu G. J Med Life. 2014 Mar 15;7(1):37-41. Yelin EH, Trupin LS, Sebesta DS. Transitions in employment, morbidity, and disability among persons ages 51–61 with musculoskeletal and non-musculoskeletal conditions in the US, 1992–94. Arthr Rheum. 1999;42(4): 769–79. Patient characteristics affecting the prognosis of total hip and knee joint arthroplasty: a systematic review. Santaguida PL, Hawker GA, Hudak PL, et al. Can J Surg. 2008 Dec;51(6):428-36. Stem Cells in Orthopedics: A Comprehensive Guide for the General Orthopedist. Saltzman BM, Kuhns BD, Weber AE, Yanke A, Nho SJ. Am J Orthop (Belle Mead NJ). 2016 Jul-Aug;45(5):280-326. Human autologous culture expanded bone marrow mesenchymal cell transplantation for repair of cartilage defects in osteoarthritic knees. Wakitani S, Imoto K, Yamamoto T, Saito M, Murata N, Yoneda M. Osteoarthritis Cartilage. 2002; 10: 199 – 206. A multi-center analysis of adverse events among two thousand, three hundred and seventy two adult patients undergoing adult autologous stem cell therapy for orthopaedic conditions. Centeno CJ, Al-Sayegh H, Freeman MD, Smith J, Murrell WD, Bubnov R. Int Orthop. 2016 Aug;40(8):1755-65. Increased knee cartilage volume in degenerative joint disease using percutaneously implanted, autologous mesenchymal stem cells. Centeno CJ, Busse D, Kisiday J, Keohan C, Freeman M, Karli D. Pain Physician. 2008 May-Jun;11(3):343-53. Centeno CJ, PM R. 2014 Jan;6(1):70-7. Long-Term Follow-up of Intra-articular Injection of Autologous Mesenchymal Stem Cells in Patients with Knee, Ankle, or Hip Osteoarthritis. Emadedin M, Ghorbani Liastani M, Fazeli R, et al. Arch Iran Med. 2015 Jun;18(6):336-44.